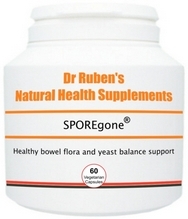 SPOREgone is a complete, high potency formulation - an all-in-one yeast balance, digestion and colon health support supplement. Aloe vera: Aloe barbadensis is a spiky cactus-like plant of the lily family. Traditionally used for purposes of moisturising (i.e. in skin creams), aloe vera may also help to support the body's natural detox systems and processes. Beetroot: Beta vulgaris, is a vegetable that is naturally high in nitrates, silicic acids, flavonoids, antioxidants (anthocyanadins) and bioavailable vitamins and minerals. It is also naturally rich in alkaline elements, making it an ideal addition to cleanse and detox programmes. Lactobacillus acidophilus probiotic: In Latin, 'Lactobacillus acidophilus' means acid-loving milk-bacterium. It is a species in the genus Lactobacillus and a type of probiotic , which occurs naturally in the gut. As a probiotic, Lactobacillus acidophilus may support a healthy balance of intestinal microflora, efficient digestion . Glucosamine: An amino sugar, glucosamine is one of the most abundant monosaccharides and a natural precursor of glycosaminoglycans. 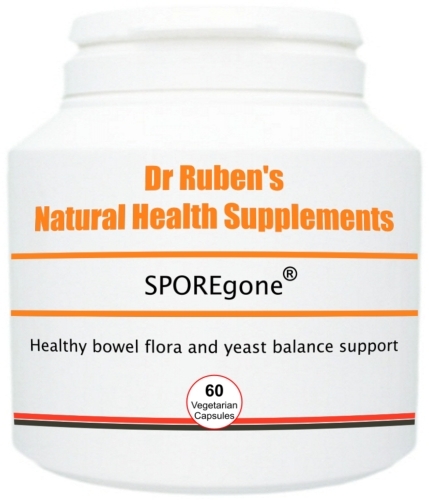 It occurs naturally in the body, where it plays a role in the efficient operation of joints and helps to maintain healthy connective tissue health. It is a best-seller and a “must try” product! Dosage: start off by taking a higher intake of 3 - 4 capsules split up throughout the day for 2 - 4 weeks. Thereafter, reduce intake to 1 capsule taken 1 - 3 times per day with meals.